Laura El-Tantawy is a British/Egyptian documentary photographer, artful book maker, mentor and experimental film-maker. 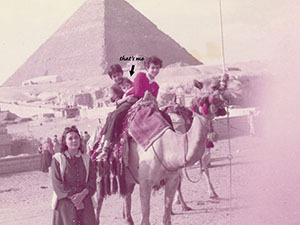 She was born in Worcestershire, England and studied in Egypt, Saudi Arabia, the US and the UK. Her work explores notions of home & belonging and is recognised for its uniquely lyrical eye on reality. Laura's goal as a artist is to produce unique and thought provoking work. Her longform projects are self driven. She often collaborates with like-minded individuals, institutions & organizations - driven to inform responsibly, contribute positive change to the world and encourage stimulating thought & creativity. She has been exhibited and published internationally. Her self-published monographs include In the Shadow of the Pyramids (2015), The People (2015) and Beyond Here Is Nothing (2017). She is currently working on her fourth monograph, A Star in the Sea (2019).